A model who was injured during a bottle-throwing nightclub brawl between Chris Brown and Drake is suing both singers and the owners of the New York City premises. Romain Julien, who was sitting at a nearby table during the brawl, suffered a severed tendon in his right hand during the June 14 melee, according to a lawsuit filed in New York Supreme Court. Mr Julien also alleges that he endured lacerations from broken glass, cosmetic deformity and mental distress as a result of the fight. The complaint accuses Brown of having a "hot temper" and inciting the altercation with Drake. The operators of the club Greenhouse and its basement lounge, WiP, are also named in the suit. Mr Julien claims the operators created a public nuisance by failing to provide adequate security in the club and serving liquor to intoxicated patrons. Mr Julien, a model with Re:Quest Model Management, is seeking actual and punitive damages. Representatives for Brown and Drake had no immediate comment. A representative for Greenhouse and WiP said they will "respond appropriately" after evaluating the lawsuit. Last week, a company with ties to the club sought to hold Drake and Brown responsible for the melee in a 16 million US dollar (£10 million) lawsuit. No criminal charges have been filed in the fight, which left Brown, NBA star Tony Parker of the San Antonio Spurs and others injured. Police say the fracas started after members of Drake's entourage confronted Brown on the dance floor as he was leaving WiP. Drake's representatives have said he was on his way out and did not injure anyone. 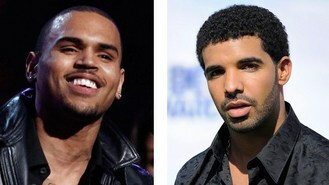 Both lawsuits point to news accounts of bad blood between Brown and Drake, both of whom have dated singer Rihanna. Taylor Swift is to perform at the 2012 MTV Video Music Awards next month, it has been announced. Sir Elton John has praised Madonna for forging the way for other female solo artists in the music industry. Sir Elton John has told how he believes his son Zachary's childhood is going to be "very difficult" as he battles homophobia and the impact of his father's world fame. Dame Julie Andrews could be one of the first patients to receive artificial vocal cords that might one day restore her voice. Noel Gallagher has marked Manchester United's Premier League defeat by Everton with a song for their arch rivals as he wowed the crowd in Belfast. Nicki Minaj is on the verge of joining the American Idol judges, it has been claimed. Rihanna has confessed she still "truly" loves her ex-boyfriend Chris Brown. Willie Nelson is getting straight back on the road after he was taken ill at the weekend. One Direction star Niall Horan has tweeted his condolences after a friend from his home town was killed in a car crash.